Residential Storage Quote | Cummings Moving Co.
What else should we know about your storage needs? What questions may we answer for you? As your business grows and office rental fees in San Francisco continues to rise, it can be difficult to find adequate space for spare inventory, extra office furniture, bulky supplies and materials, seasonal decor and other business-related items. 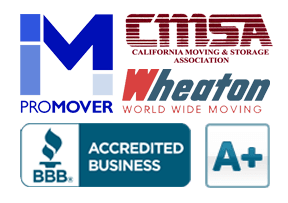 Many San Francisco companies already choose Cummings Moving Company for a secure and affordable solution to their small business storage needs – now you can too. Since 1969, businesses in San Francisco have entrusted us with their business belongings. We have exceptional reputation, responsive customer service and fees based solely on the square footage you use. Our convenient storage location for San Francisco businesses provide convenience for businesses that need extra space. At Cummings Moving Company, we make the storage process as simple and straight-forward. From important business documents or extra office furniture, you can expect quality service each and every time you work with us. Our extensive experience in small business storage has led to satisfied business clients and a reputation for excellence. 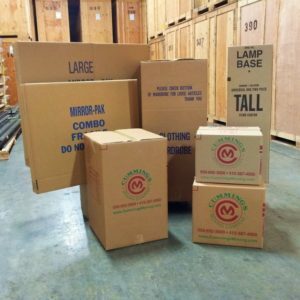 In addition to small business storage, Cummings Moving Company provides showroom and warehouse services. As a moving company, we are well-equipped to handle the pick-up and delivery service for those renting our warehouse space. Please inquire. If security is important to you, then you will appreciate that we work by appointment. You can easily store and retrieve your items, however, we make sure to know who comes and goes from our facility. Avoid the cost of additional office space and save time, energy and money in the process. Request a free small business storage quote from us today! We are one of the top storage facilities in the San Francisco area and have all the services you need in one spot.